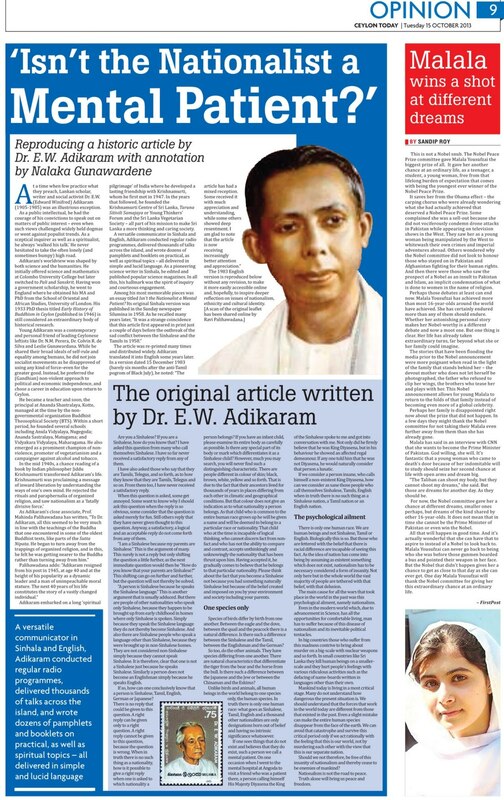 I met the Lankan scholar, science writer and social activist Dr E W Adikaram (1905-1985) only twice, during the last few weeks of his life, but those encounters left a lasting impression. Trained in both sciences and the humanities, he was a rare public intellectual with the courage of his convictions to speak out on matters of public interest — even when such views challenged widely held dogmas or went against populist trends. As a sceptical inquirer as well as a spiritualist, he always ‘walked his talk’. 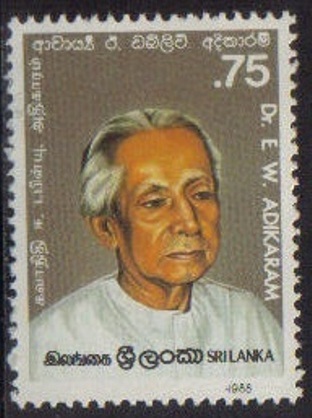 A versatile communicator in Sinhala and English, Adikaram conducted regular radio programmes, delivered thousands of talks across the island, and wrote dozens of pamphlets and booklets on practical as well as spiritual topics – all delivered in simple and lucid language. As a pioneering science writer in Sinhala, he edited and published popular science magazines. In all this, his hallmark was the spirit of inquiry and courteous engagement. I have just shared this important essay online, with a new annotation.